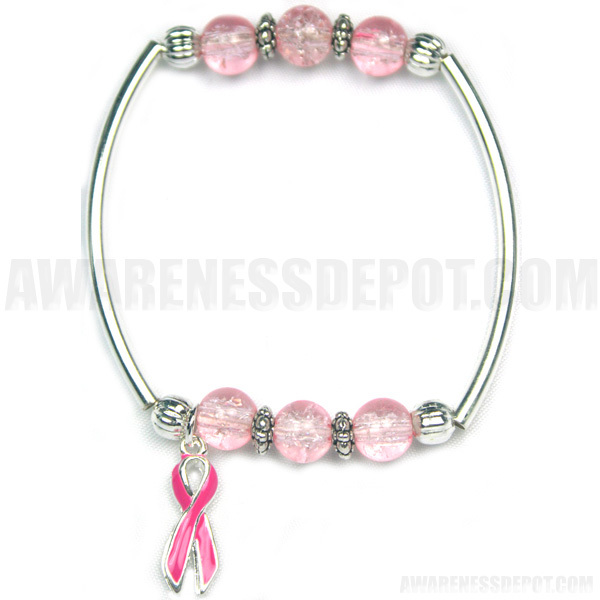 This Breast Cancer Together Bracelet signifies people coming together to fight Breast Cancer. Made of beautiful pink glass beads and semi-circular silver plated tubes. It's a great way to show your support!. Includes a Breast Cancer awareness ribbon charm. Be sure to check out all our Breast Cancer Products.